Orange Bike, originally uploaded by denmar. 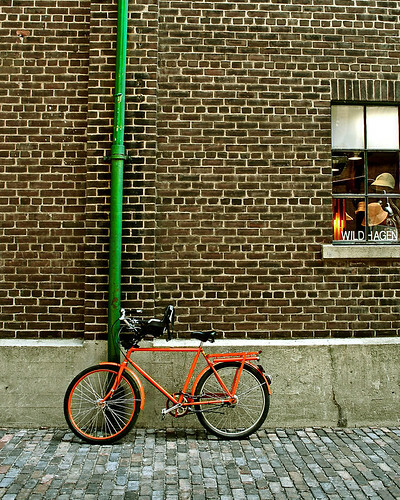 Sam Javanrouh styled shot found in the Distillery District. I really love the orange against the green for some reason. The green reminds me of those warp pipes from Super Mario Bros. I haven’t been feeling too hot tonight, my head has been hurting for some reason.